Contains a series of projects that teach you what you need to know to get your creations talking to each other, connecting to the web, and forming networks of smart devices. The projects in this book are powerful but inexpensive to build. With a couple of microcontroller kits and the networking gadgets, you can make things that talk to each other. Programming microcontrollers used to require an expensive development environment costing thousands of dollars and requiring professional electrical engineering expertise. Open-source physical computing platforms with simple i/o boards and development environments have led to new options for hobbyists, hackers, and makers. This book contains a series of projects that teach you what you need to know to get your creations talking to each other, connecting to the web, and forming networks of smart devices. 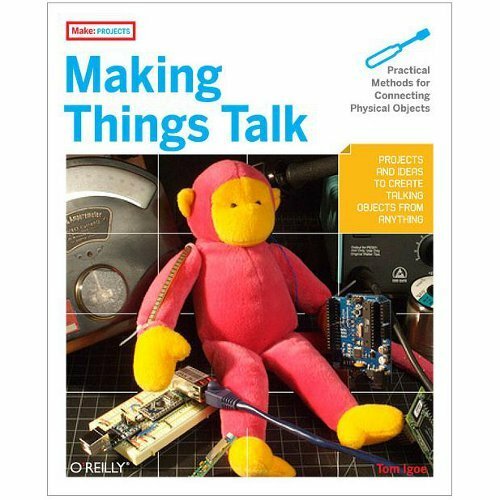 Whether you need to plug some sensors in your home to the Internet or create a device that can interact wirelessly with other creations, "Making Things Talk" shows you exactly what you need. The projects in this book are powerful but inexpensive to build. The networking hardware covered here includes Ethernet, Wi-Fi, Zigbee, and Bluetooth. With a couple of microcontroller kits and the networking gadgets of your choice, you can make things and make them talk to each other!